Although the Internet has made social networking websites convenient places to advertise your job qualifications, they still do not replace a hard copy resume. Most employers will likely request one to get a full picture of your professional background. 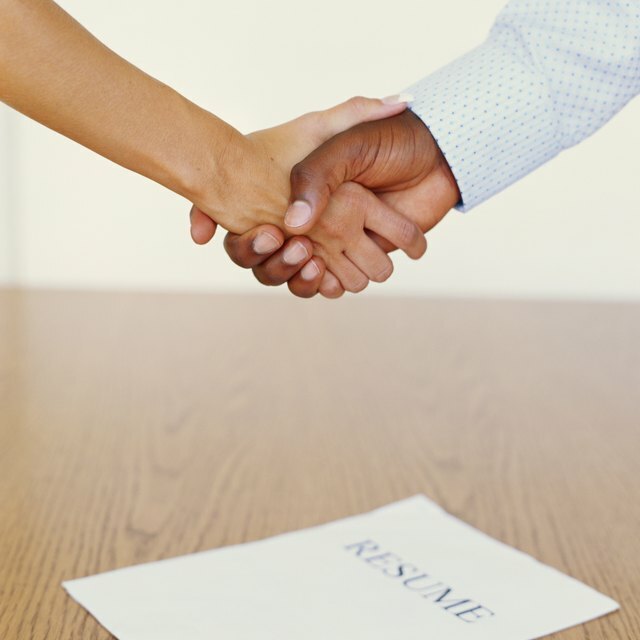 Resumes also give you the chance to make a positive first impression and convince potential employers that you are the right candidate for the job. However, hiring managers and human resources professionals are often busy with their own projects, and receive more resumes than they have time to read. It is important that your resume displays an eye-catching headline that clearly communicates your career objectives. Manipulate your headline’s font size, type and page positioning. Bold the lettering to set it apart from the rest of your resume. Write your headline using sans-serif fonts -- Arial, Helvetica, Geneva or Charcoal -- to make the reader’s eye stop and take note of the information. Consider increasing the font size one to two points higher than the other sections to indicate its importance in the document. Start your headline with strong action verbs or illustrative adjectives that quickly communicate your expertise and work experience. For example, “Award-winning multimedia artist with 10 years of graphic design experience” quickly communicates the candidate’s level of expertise as a probable job candidate. Keep your headline to a minimum of one to two lines for brevity and maximum readability. Make your resume and LinkedIn page contain the same language and content if you are using LinkedIn to promote your candidacy. Type similar headlines and descriptions in both areas to ensure your credentials are presented consistently to recruiters and potential employers. Refer to your career services office for headline examples, or reach out to career development professionals who can advise you on best practices when crafting your resume. Avoid overused phrases or industry lingo that might confuse readers, or fail to communicate your skills in the best light.